Chancellor of Birmingham City University, Sir Lenny Henry will be taking to the stage of the institution’s new Royal Birmingham Conservatoire next month. The Dudley-born actor, writer, comedian and charitable campaigner will be narrating Sergei Prokofiev’s classic story ‘Peter and the Wolf’ on Friday 4 May, with the Royal Birmingham Conservatoire Pops Orchestra playing the various characters in a performance that helps introduce youngsters to the world of classical music. Alongside ‘Peter and the Wolf’, the Pops Orchestra will transport the audience to “a galaxy far, far away” with music from the original ‘Star Wars’ film trilogy on the day fans of the franchise celebrate Star Wars Day each year. Elsewhere, the Royal Birmingham Conservatoire musicians will conjure images of swinging through the skyscrapers of New York City with Danny Elfman’s ‘Spider-Man’ theme and then take concertgoers in to the domain of cowboys, cowgirls and the American West with ‘Hoe-Down’ by Aaron Copland from the 1942 ballet ‘Rodeo’. The programme will be further complimented by ‘Overture’ from Leonard Bernstein’s swinging ‘Wonderful Town’. The Conservatoire was granted a Royal title by Her Majesty The Queen in September 2017, with the bestowment following the HRH The Earl of Wessex becoming the college’s first Royal Patron in March 2016. The Earl officially declared the building open on Sunday 11 March this year prior to the Royal Opening Gala Concert in his honour. Featuring the Royal Conservatoire’s Symphony Orchestra and Chorus, and conducted by the City of Birmingham Symphony Orchestra’s (CBSO) Music Director, Mirga Gražinytė-Tyla, the Royal Opening Gala Concert marked the beginning of the college’s Opening Festival, which continues with ‘Peter and the Wolf’. Being the Chancellor of Birmingham City University is a great gig. Not only do I get to mingle with all the fantastic students and see first-hand how our research is transforming lives, they also let me take centre stage at our new £57 million Royal Birmingham Conservatoire! I first narrated Peter and the Wolf in 2000 and it was so much fun. I've been longing to perform it since and to be able to do it here on home turf is just brilliant. With music from ‘Spider-Man’ and ‘Star Wars’ in the mix as well, this is going to be a musical hoot for the whole family. May the Fourth be with you! 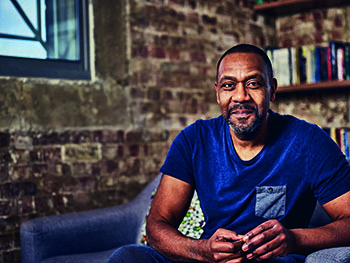 Alongside Sir Lenny Henry the Opening Festival will welcome a wealth of world-class artists to Birmingham, including Julia Donaldson, Peter Donohoe, Orkest de Ereprijs, Laura van der Heijden, Nigel Kennedy, Nitin Sawhney, Roderick Williams and Jacqueline Wilson. Not only will the festival see international stars grace the Conservatoire’s five performance venues, there will also be a focus on the rising stars and grass roots artists of the local music scene, as per the institution’s commitment to nurturing talent and providing a hub for performing arts in the city. The public show of ‘Peter and the Wolf’ at 7pm is proceeded by two sold-out performances for schoolchildren in the afternoon.